Santa Clarita, Calif. – In conjunction with the Santa Clarita Marathon, the City of Santa Clarita will host the annual Health and Fitness Expo, presented by Boston Scientific, on Saturday, November 5, 2016. This year’s Expo will be hosted outdoors in an expanded area along Town Center Drive from 9:00 a.m. to 5:00 p.m. on Town Center Drive at Westfield Valencia Town Center, located at 24201 Valencia Blvd. The City kicks off race weekend with the Health and Fitness Expo, which is free and open to the public. The Expo is a great way for residents and race enthusiasts to be involved with the Marathon. Last minute registration will also be available at the Expo. All athletes must pick up their race packet at the Expo and Kid K runners should also attend the Expo to pick up their official t-shirt and bib number. For those unable to attend the Expo, someone else may pick up the race packet; however the participant’s birth date and age will be needed. Expo vendors include Runner’s Lane, Feet Fleet, other race events and more. Free photos will also be available from Parkway Motorcars for attendees. For more information about the 2016 Health and Fitness Expo, please contact City Arts and Events Coordinator, Korin Peltier at (661) 250-3712 or visit SCMarathon.org. 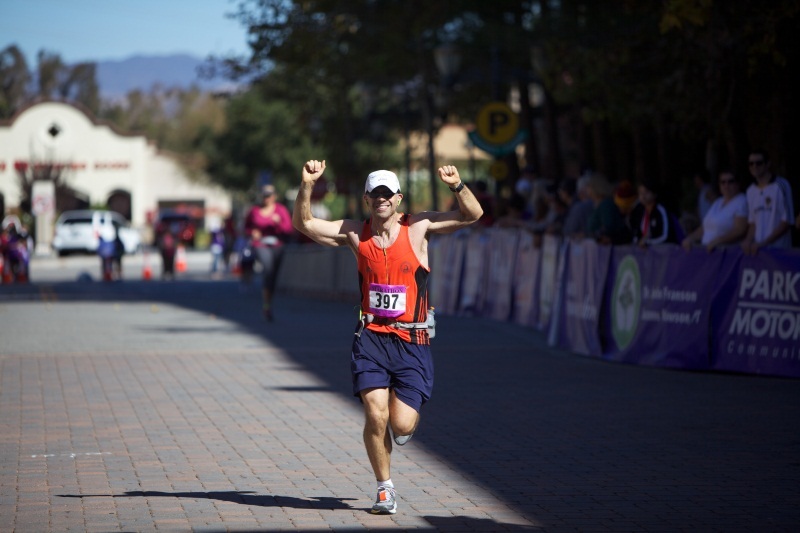 The Santa Clarita Marathon’s Final Mile Challenge encourages students to set a goal, make it happen and finish what they started. While training to run the final mile, the program encourages students to exercise and form healthy eating habits. 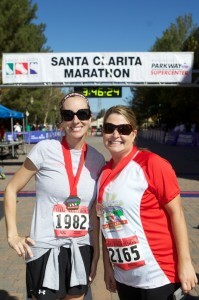 Local elementary schools will participate in the last mile on Nov. 6 as part of the City of Santa Clarita Marathon. Santa Clarita, Calif. – The 2016 Final Mile Challenge, presented by Kaiser Permanente, will conclude on Sunday, November 6, 2016, when more than 1,600 students from five Santa Clarita schools will run the last mile of their 26.2 mile goal at the Santa Clarita Marathon, presented by Parkway Motorcars. The Final Mile Challenge encourages students to set a goal, make it happen and finish what they started. While training to run the final mile, the program encourages students to exercise and form healthy eating habits. 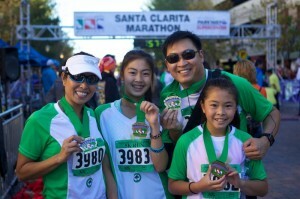 During the first months of school, students must complete all 25 training miles before being invited to run the final mile of the Santa Clarita Marathon. Upon completion of the 25 miles, students receive a Final Mile Challenge t-shirt to wear on race day and as they cross the official Santa Clarita Marathon finish line, they are awarded a Final Mile Challenge finisher’s medal. Leading up to the race, several schools hosted program rallies where doctors from Kaiser Permanente gave presentations about the program, training for the run and also taught students about the importance of making healthy choices. Students will line up with their school at 12:30 p.m. on race day to start with a warmup stretch before the run. Kicking off the Final Mile Challenge will be Helmers Elementary School student, Delaney Rose Stein, with the National Anthem. Delaney is one of many students who tried out for this year’s honor of singing the National Anthem and she will also be participating in the Final Mile Challenge. Parents and residents are encouraged to park at Westfield Valencia Town Center to cheer on student athletes as they cross the finish line on Theater Drive (adjacent to Buca Di Beppo). 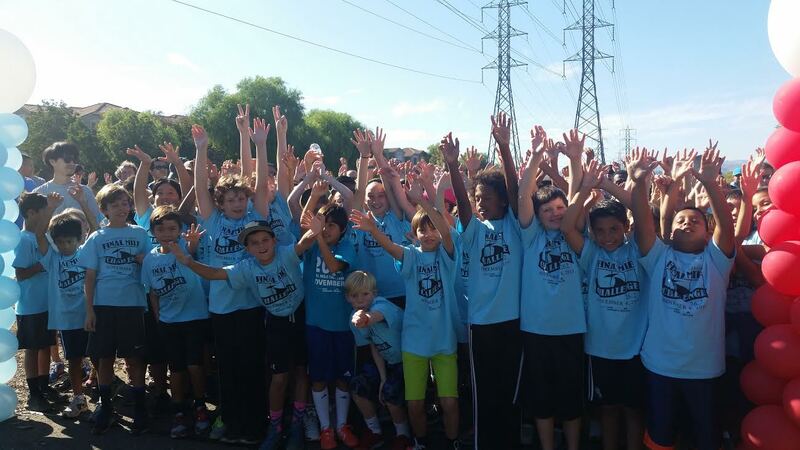 Participating schools in the 2016 Final Mile Challenge include Bridgeport Elementary School, Helmers Elementary School, Newhall Elementary School, SCVi Charter School and Tesoro Elementary School. Schools must be invited to participate and are chosen at the annual Arts and Education Meeting. For more information about the Final Mile Challenge, visit scmarathon.org/finalmilechallenge or contact Donna Avila with the City’s Arts & Events Office at (661) 250-3785 or davila@santa-clarita.com.